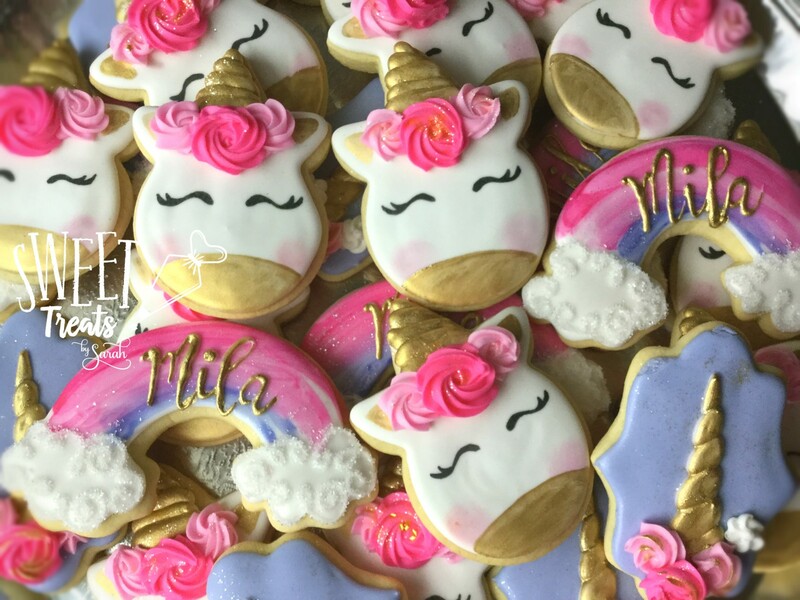 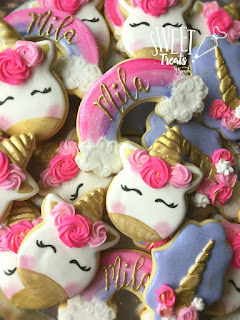 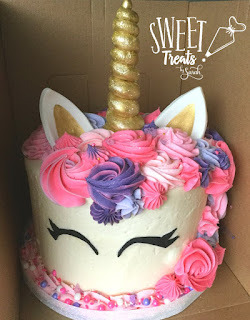 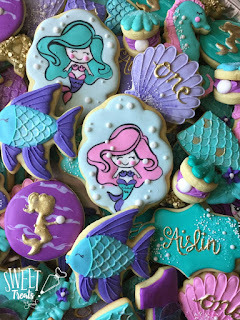 I could never get tired of making Mermaids and Unicorns! 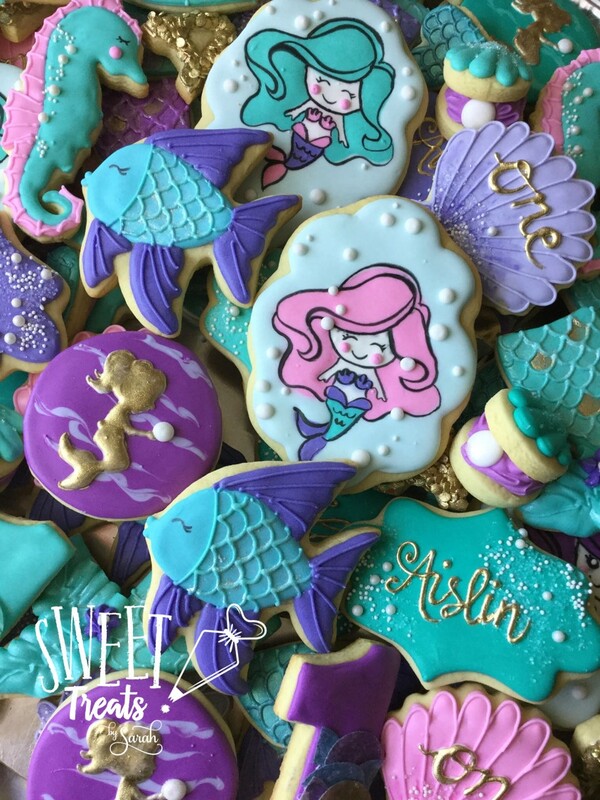 There are a million different ways to make these beauties. Keep those mermaid and unicorn requests coming! These cute mermaids were inspired by artwork from LookLookPrettyPaper Be sure to check out her etsy shop for some beautiful clip art! 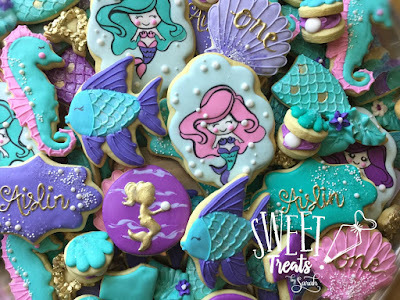 The mermaid cookies were made using the wet on wet royal icing technique and then outlining details in black once dried. I used black airbrush color with a fine brush to pain on details.